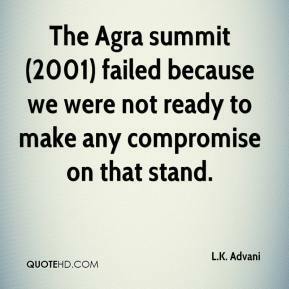 The Agra summit (2001) failed because we were not ready to make any compromise on that stand. 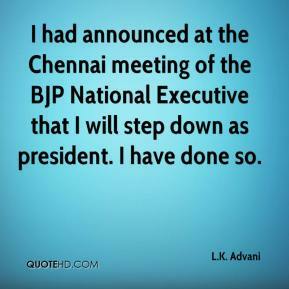 I had announced at the Chennai meeting of the BJP National Executive that I will step down as president. I have done so. 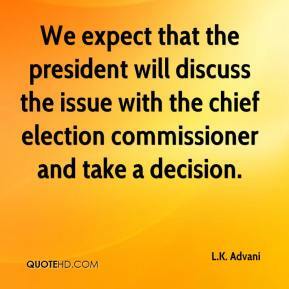 We expect that the president will discuss the issue with the chief election commissioner and take a decision. 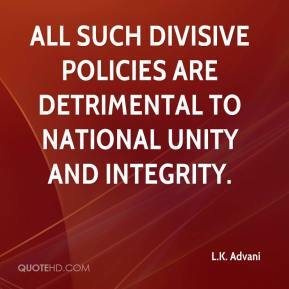 All such divisive policies are detrimental to national unity and integrity. 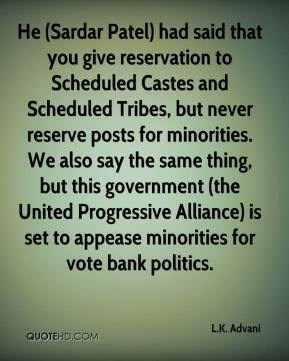 He (Sardar Patel) had said that you give reservation to Scheduled Castes and Scheduled Tribes, but never reserve posts for minorities. We also say the same thing, but this government (the United Progressive Alliance) is set to appease minorities for vote bank politics. 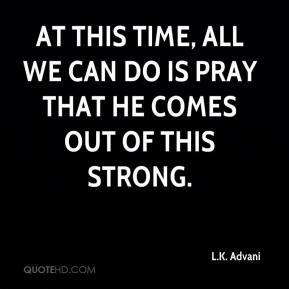 At this time, all we can do is pray that he comes out of this strong. Swami Vivekanand, during his last days, had expressed need for a man-making machinery in India. The RSS formed by Dr Hegdewar in 1925, did the same work Vivekanand aspired for - making men. 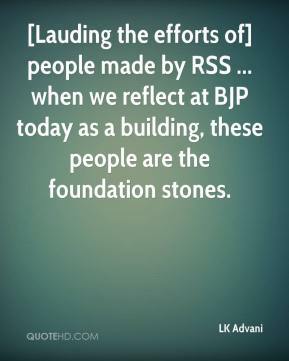 [Lauding the efforts of] people made by RSS ... when we reflect at BJP today as a building, these people are the foundation stones. Swami Vivekanand, during his last days, had expressed the need for a man-making machinery in India. 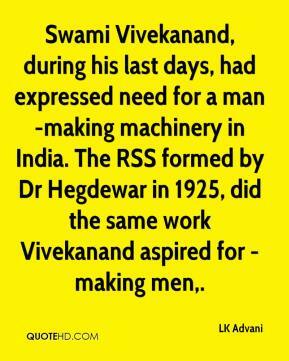 The RSS formed by Dr Hegdewar in 1925, did the same work Vivekanand aspired for - making men. 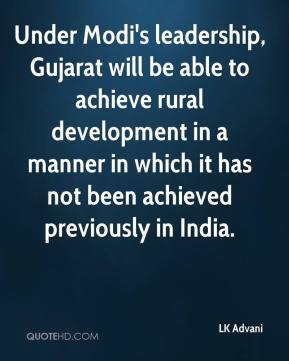 Under Modi's leadership, Gujarat will be able to achieve rural development in a manner in which it has not been achieved previously in India. 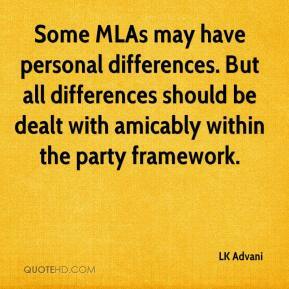 Some MLAs may have personal differences. But all differences should be dealt with amicably within the party framework. 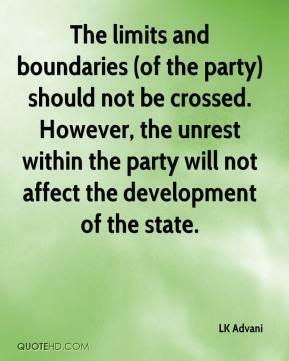 The limits and boundaries (of the party) should not be crossed. However, the unrest within the party will not affect the development of the state. 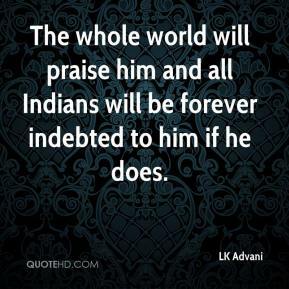 The whole world will praise him and all Indians will be forever indebted to him if he does. 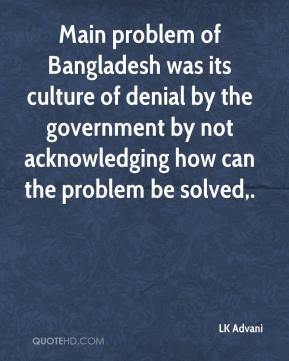 Main problem of Bangladesh was its culture of denial by the government by not acknowledging how can the problem be solved. 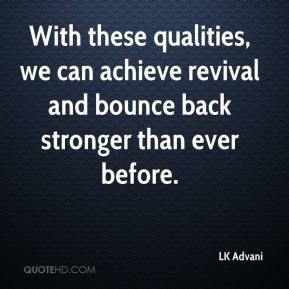 With these qualities, we can achieve revival and bounce back stronger than ever before. They (Congress) found a scapegoat (Singh). 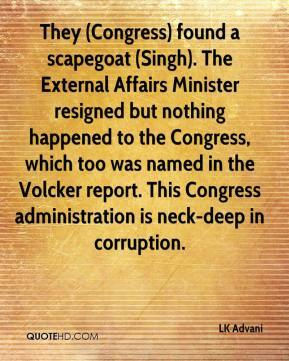 The External Affairs Minister resigned but nothing happened to the Congress, which too was named in the Volcker report. 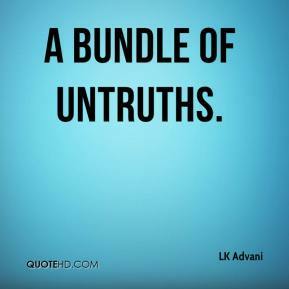 This Congress administration is neck-deep in corruption.